Ephraim Sykes & Shahadi Wright Joseph Join Hairspray Live! 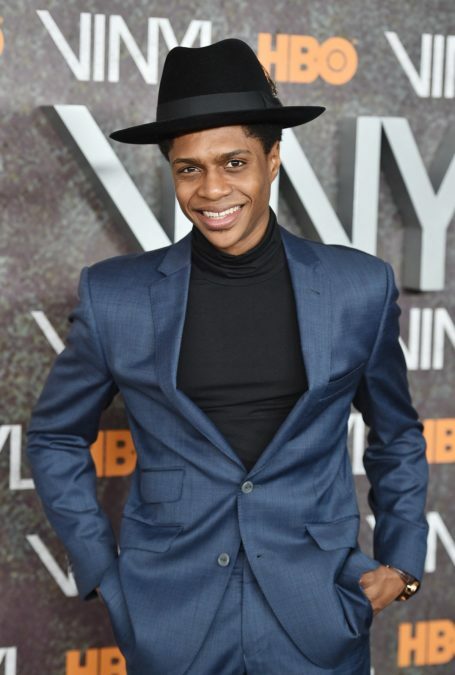 Ephraim Sykes, who can currently be seen on Broadway in the ensemble of Hamilton, has joined the cast of Hairspray Live!. He takes on the role of Seaweed J. Stubbs in the NBC telecast, which is set to air on December 7. Joining him in the roster is pint-sized Broadway rocker Shahadi Wright Joseph as Little Inez. The two join a cast that includes newcomer Maddie Baillio as Tracy, Harvey Fierstein as Edna, Ariana Grande as Penny Pingleton, Jennifer Hudson as Motormouth Maybelle, Kristin Chenoweth as Velma, Garrett Clayton as Link, Dove Cameron as Amber, Derek Hough as Corny Collins, Andrea Martin as Prudy Pingleton and Martin Short as Wilbur. The company will also feature Rosie O’Donnell and Sean Hayes. Prior to Hamilton, Sykes appeared on Broadway in Motown, Newsies, Memphis and The Little Mermaid. His screen credits include Smash, Leave It on the Floor and Vinyl. Joseph can currently be seen as Madison in School of Rock. She made her Broadway debut in 2014 as Young Nala in The Lion King.